The Nett Lake School District is committed to providing meaningful learning opportunities that support and challenge the academic, social, emotional, and cultural development of students. Nett Lake Elementary School District is proud of the reputation it has earned of providing a thorough and well-rounded education to students within its allotted area. Our school district is able to provide small class sizes in order to ensure that our dedicated teachers give each child their full attention. Nett Lake Elementary School District is also able to provide special services not found elsewhere, such as our Ojibwe Language and Culture Technology. We welcome you to be an active participant by staying well-informed about the educational opportunities available to your child within our school district. 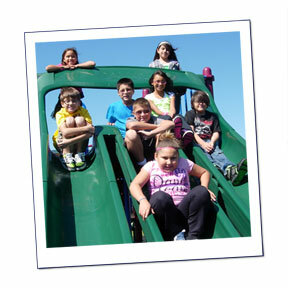 Nett Lake Elementary is located within the family-friendly community of Nett Lake, Minnesota. With educational offerings from pre-school through 6th grade, our school is a vital and respected establishment within the Nett Lake community. You will swiftly learn that our school motto, “Nett Lake Eagles are respectful, responsible, and ready to fly!” is incorporated in all aspects of learning within the school. We believe that such values extend far beyond the classroom as each applies respect and responsibility to home life, school, the community, and other areas of life. Nett Lake Elementary has been carefully crafted with a supportive community, active families, and a staff of the finest educators available in Minnesota. With such forces as these, you will find your child well equipped with the tools necessary to thrive at Nett Lake Elementary.